We are proud to announce that ICB Group have launched their first app called 'The Roadside Helper', which is designed to help you gather information if you are ever involved in a motor accident. 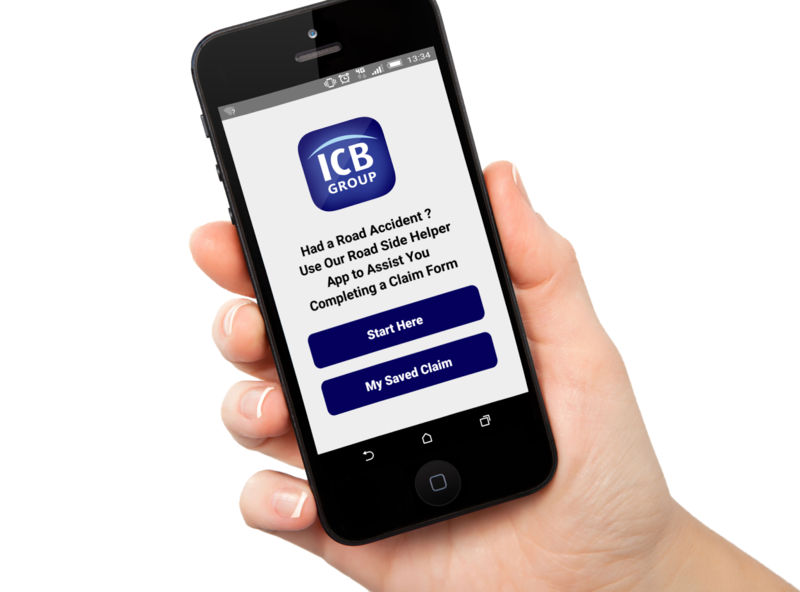 If you are ever unfortunate enough to be involved in a Motor Accident the App will guide you through the information you need to gather at the scene in 8 easy steps. Using the Roadside helper App will hopefully remove some of the stress and help with your claim if you are not at fault or help reduce claims costs against you if you are. You can find the app by searching for 'Roadside Helper' on either Google Play Store, or Apple App Store. We hope you will never have to use the Roadside Helper App - but it will help you if you do.